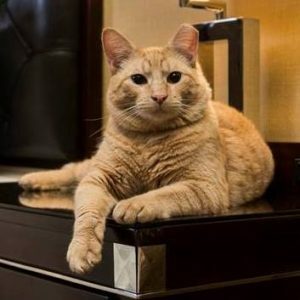 Star Dreams Café presents Jefferson Harman’s interview with Alice De Almeida, Chief Cat Officer at The Algonquin Hotel in NYC. Listen as they talk about this year’s Annual Celebration and Cat Fashion Show, and the history of The Algonquin Cat. 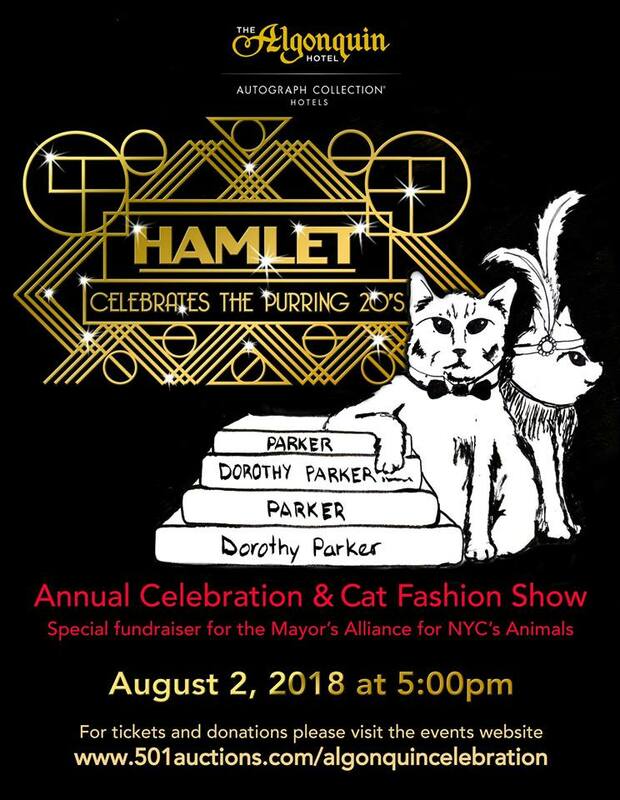 The show, which benefits the Mayor’s Alliance for NYC’s Animals has been a tradition at the hotel since 2006. And the Algonquin Cat is a long-standing tradition, dating back to the 1920s. 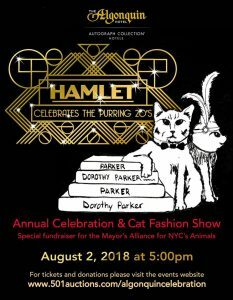 This year’s show will be hosted by Hamlet VIII on August 2, 2018 at 5 pm. “Believe In Your Dreams [Instrumental]” theme song composed by Bobby Cronin and performed by Bobby Cronin and Jefferson Harman. Copyright © 2018 Jefferson Harman. All rights reserved. © 2018 Jefferson Harman. All rights reserved. This entry was posted in Interviews and tagged adoption, algonquin cat, algonquin hotel, alice de almeida, broadway, cat, cat fashion show, fashion, hamlet, harman, jefferson, john barrymore, linda’s cat assistance, matilda, mayor’s alliance for nye’s animals, mewdel, rescue, star dreams cafe, theatre district. Bookmark the permalink.